Think back to the most restless night you’ve ever had. Sore throat, tossing and turning, coughing, pounding headache, heavy eyes, sinus congestion in your ears, nose, and throat…Yuck! Sinus congestion causes more than just a stuffy nose. Dizziness, extreme facial pain, and muffled hearing are symptoms that are caused by sinus congestion and can make for a very miserable week if not treated properly. 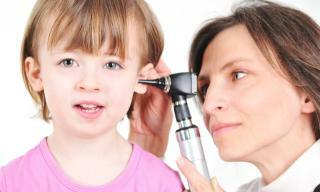 Sinus congestion in your ears can be a sign of a sinus infection (sinusitis). Sinusitis is when sinuses, usually filled with air, are instead filled with germs and fluid causing infection, irritating tissue lining, and blocking the sinuses. It is estimated that 37 million Americans suffer from at least one episode of sinusitis each year, and people who have nasal polyps, immune deficiencies, or suffer from a cold are at a higher risk for developing a sinus infection. How can I relieve my ear congestion? Take a hot shower. The steam from the shower can help unclog your ears. Yawn. Yawning can help redistribute the fluid in your ears. Use a sinus rinse. A sinus rinse helps thin the mucus and flushes it out of your nasal passages. See a medical professional. If the sinus congestion in your ears lasts longer than a week, it may be time to see a medical professional. Your medical professional can then prescribe antibiotics or decongestants if needed. There is never a reason to compromise when it comes to your medical care. FastMed Urgent Care has been awarded the Joint Commission’s Gold Seal of Approval for Accreditation in Ambulatory Care and staffs some of the best, most compassionate professionals in the industry. The FastMed Urgent Care mission is to serve our communities and patients with a high level of quality, personal care, affordable and convenient urgent care, family practice, and other specialty medicine services. Open 7 days a week, 365 days a year, FastMed Urgent Care clinics are an affordable alternative to the ER for non-life-threatening conditions. Check out our FAQ page to learn more!